Welcome to February! The January 2012 weather has been unseasonably warm and mild for winter, here in Chattanooga. The skies have been mixed. 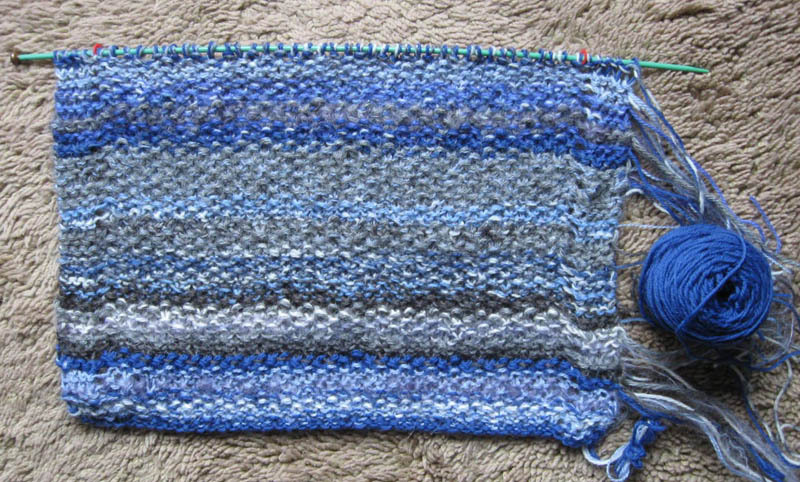 Here is the progress of my 2012 Sky Scarf project. As you can see, heavy rainstorms brought dark gray gloom early in the month but several sunny, blue skies peppered January with the promise of Spring. "Knitting the Sky" has been a fun and interesting knitting project thus far.